Delivering Fresh Produce to Tahlequah! 200 E. Morgan St. under the pavilion. ​BUY LOCAL! SUPPORT OUR COMMUNITY!!! 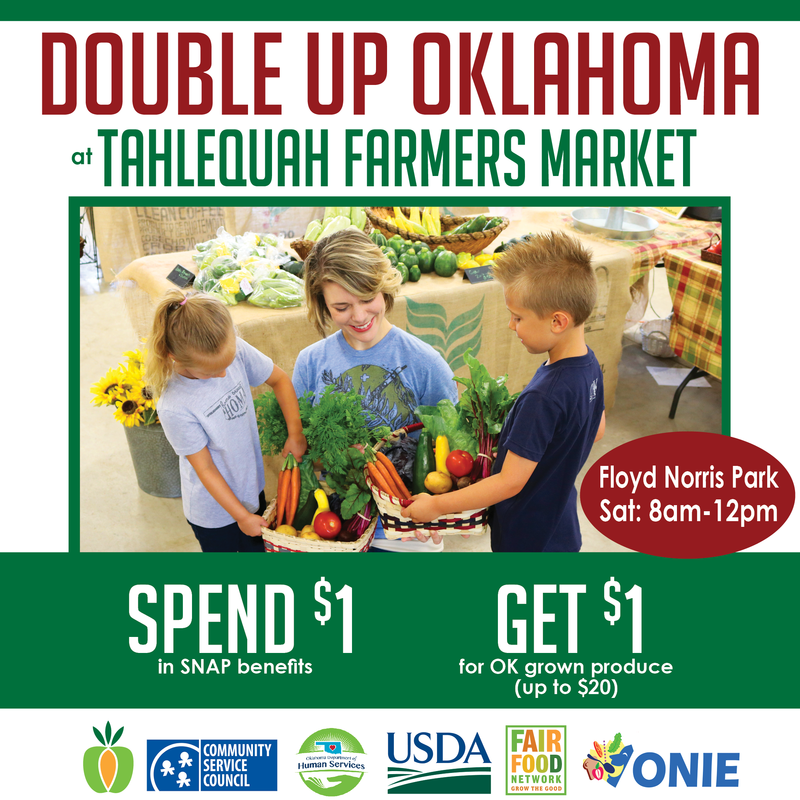 Tahlequah Farmers Market is on it's 12th year! We're excited to get the 2019 season started! 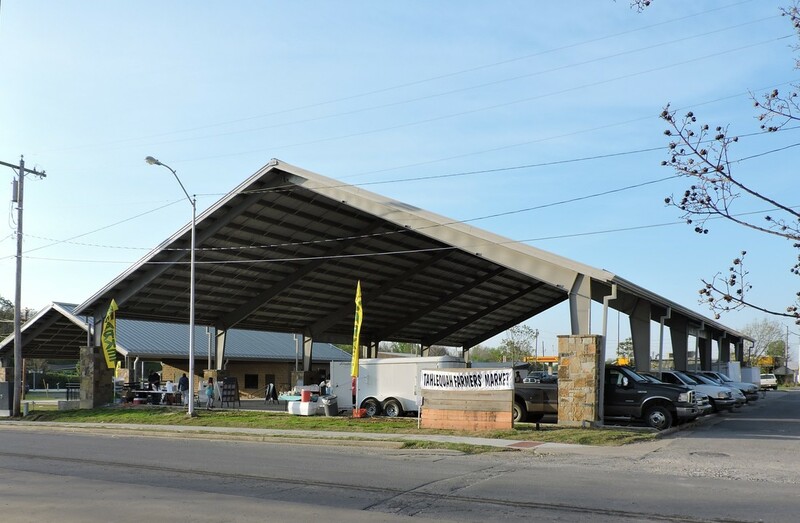 We have many vendors at the market selling: vegetables, fruits, herbs, cut flowers, plants, meats, eggs, baked goods, honey, preserves, wine and crafts. Once summer begins, and the heat is on, there will be a variety of tomatoes available, including specialty Cherokee Purple Heirloom. We'll have plenty of greens, cucumbers, squash and all the summer vegetables & fruits. Water Street, Morgan Street, and Muskogee Ave.
Special events will be held weekly either at the market or in Norris Park. Please Check Our TFM calendar at the bottom of the News page for TFM DATES & other community events. ***Muskogee Ave & Morgan Street may be barricaded for public safety during community events. In this case, you will need to access the Farmers Market from WATER STREET. Come see us at the TFM Welcome Booth! This is where you'll make payments using your credit/debit cards, Senior Nutrition, and SNAP. 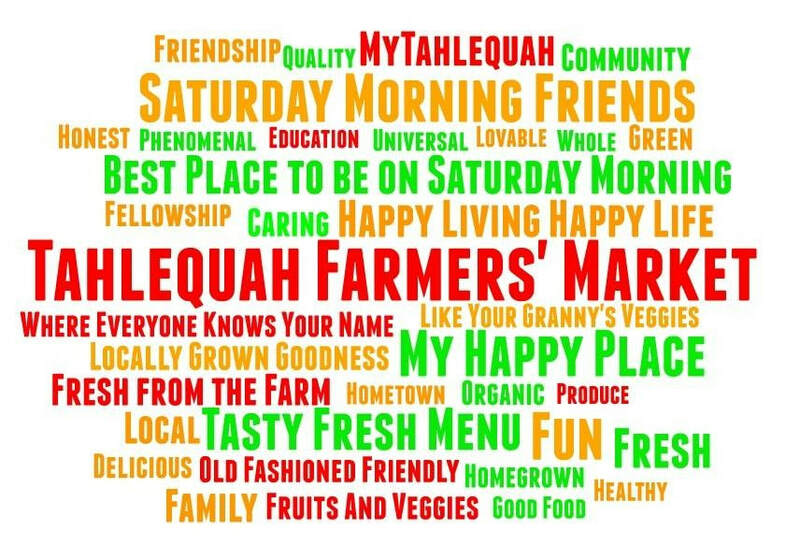 ​We'll be happy to answer questions and provide more information about programs and Tahlequah Farmers Market. We have market flyers and brochures available for you to take. We welcome your pets! (On leashes, of course). ​Stop by Scruffie's Hospitality Booth! We have FREE water for customers and water bowls for our four-legged friends. Sometimes we even have FREE dog treats! ​We usually have some type of recipe cards, calendars, pamphlets, or other community health information available for you to take as well. We Accept SNAP and Double your benefits up to $20 a day! ​We accept Cash, Debit Cards, Credit Cards, Senior Nutrition (for fruit and vegetables only), and SNAP. ​Some Vendors Accept Credit Cards. Get the latest TFM news on our Facebook Page! We share market updates and events, vendor information, gardening tips, recipes, community events, and more! We always have LIVE MUSIC on Saturday morning! Soaps, Oils, Fabric crafts, bags, jewelry, baskets, and more! If your looking for a specific vendor or vendor contact information click Meet the Vendors. We always have plenty of fresh greens! !